Name That Building! : Wait Wait ... Don't Tell Me! Name That Building! 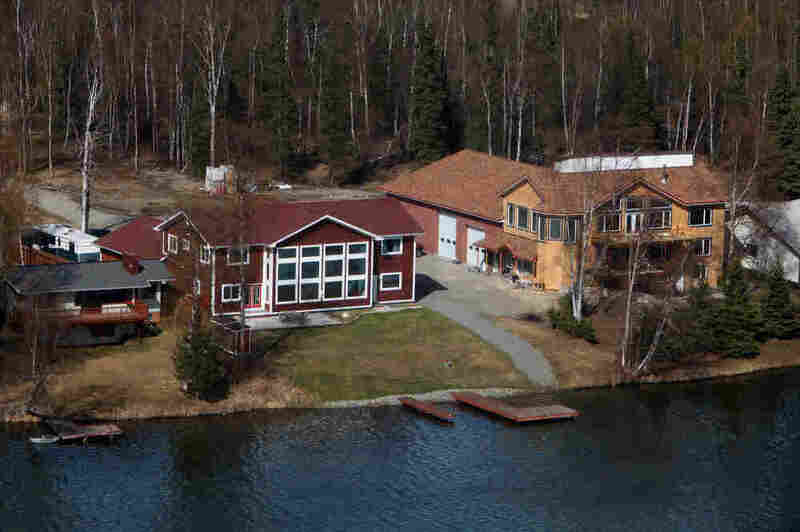 A new structure on Sarah Palin's property in Wasilla has people wondering. What's The New Building On Sarah Palin's Property? Various sources have said the project includes a television studio... apartments for Mr. Palin or the Palins’ older children...and a well-appointed office for Ms. Palin. Bloggers have speculated that the big double garage doors will allow clearance for Mr. Palin’s Piper Cub airplane and maybe his snowmobiles. Mr. Palin said the space was a “big shop for Trig and Tripp to play in, and for Piper." Eva: As a precaution, she built a playroom to accommodate all kids, grandkids, future kids, and future grandkids. Intern Siri: Vacation home. She goes very, very slightly north for the summer. Peter: It's a library. Remember she said she read all of 'em? Ian: She just wanted a house she could see from her house.